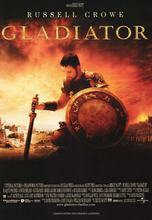 Ridley Scott-directed epic follows a betrayed Roman general's attempts to seek revenge as a gladiator. 180 AD, Rome: Maximus Decimus Meridius, a celebrated general coming off of an important victory against Germanic tribes at Vindobona, is asked by ailing incumbent Emperor Marcus Aurelius to bypass biological son Commodus and serve as Emperor upon his death with a view to turning Rome back into a republic. Commodus does not take kindly to Marcus's plans, however, killing his father and Maximus's family, claiming the throne for himself, and reducing the defeated general -- seemingly resigned to the life of a slave -- to an agent of disruption, bound to claim his revenge against the empire that had once made him as a gladiator.